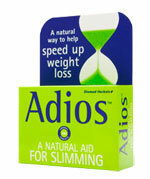 Adios is one of the better known and respected diet pills available to a UK consumer. Adios has been around for an eternity compared to other slimming supplements that arrive onto the over the counter diet pill market with a fanfare of hype and fail to deliver. 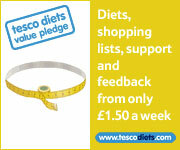 The UK diet pill market does not seem to suffer from the hype and over exaggeration that products across the Atlantic are guilty of – the blue and green box is familiar to anyone who has browsed the diet supplements and slimming products available in high street stores such as Boots the Chemist, Superdrug and Asda. If you are looking for a cheap diet pill these are the tablets for you. Hunting around on eBay we have found 100 tablets for around £5 – great value, or would be great value if they were as effective as they are perceived to be. 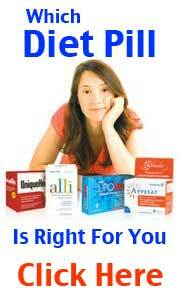 The official website claims it is the number diet pill in the UK – Lipobind may have something to say about that! Billed as a natural aid for slimming – but when the reputation is peeled away it is just a fat burner. Adios comprises of all natural and herbal ingredients that when combined supposedly speeds up the body’s metabolism and burns fat. Just how this actually does this given the vague list of ingredients is anyone’s guess. The one saving grace for Adios is that is does come with a sensible slimming plan in the packaging and draws the attention to the fact that a change of diet and exercise should be applied in conjunction with the dietary supplement. 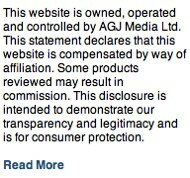 Should not pose a risk to health although it advised from using if you are pregnant of breast feeding. One of the ingredients used is the bark from the butternut tree – although this is extract from the tree and not the nut itself it is still recommended to avoid if you have a nut allergy. This product is gluten free – the starch included is from potatoes and not wheat. The real problem with Adios is that it is very cheap – under a fiver in some high street stores. Some dieters have claimed weight loss success but it could be argued that it is the change of diet and introduction of exercise that could be responsible. Cheap does not equate to effective. Fat burners are possibly the least effective of all the non prescription slimming tablet available to buy. As mentioned above, a UK customer is spoilt for choice with the major high street outlets such as Superdrug, Boots and Asda among its premier stockists. Proactol – a natural fat binder that has been voted “best diet pill” for the second year in succession by readers of the Telegraph newspaper. Proactol can stop the absorption of over a quarter of dietary fat from food consumed and does not cause any side effects.